Hot water supply is an important aspect of living in a modern city. If it gets cold, you at least have the comfort of continuous hot water supply for bathing, had wash, dish washing and laundry. However, extensive use of water heaters at home can significantly affect your energy bills. During winter, there is a surge of 300 percent in energy bills because of water heaters. What adds to the woes during winter is the frequent breakdown! 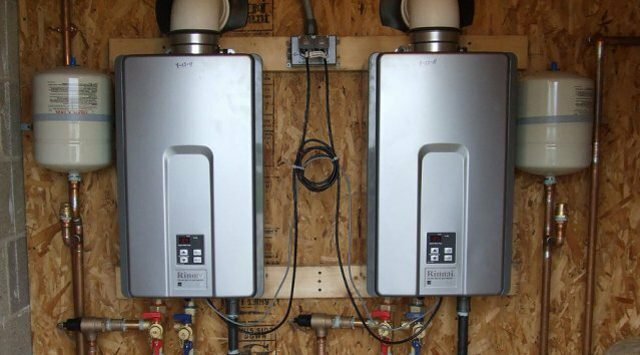 That’s why tank less water heaters from leading HVAC contractors in Toronto are gaining immense popularity in the local market. What they offer? Well, the list is big, but we bring you 5 reasons why they make a smart choice. Hot water available 24-7 at the press of a button! What more could be as easy? Enjoy day-long hot water supply, fresh and warm controlled by automatic thermostat settings. High-end tank less water heaters can be operated using IoT switches connected through your smart phone. While you are heading home, get your water heater ready. The tanksless water heaters from modern league are way smaller and smarter than their older siblings from the last decade. It is a piece of equipment that is not just cute but also very efficient. Saving electricity is a big plus, especially when it gets colder at night. Smaller size and high performance translate into good service that fits into the small bathrooms of modern homes. Tank less water heaters can be fixed up in less than 15 minutes. All those pipe works and duct work installation is not just easy to install, but also do zero damage to the walls. If you are a tenant, this is a good thing. 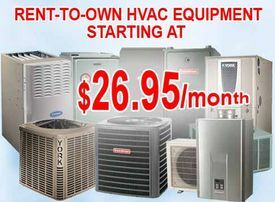 HVAC contractors in Toronto offer tankless water heaters on rental at really affordable package. For small homes with minimum water heating requirements, the safest bet to avail is tank less water heater. They come with a list of sophisticated safety features like auto-cut off switch, temperature control and inbuilt voltage stabiliser. With proper maintenance, they continue to deliver hot water year after year. That is why HVAC contractors rely heavily on tank less water heaters on rental to gain mileage in the market. Mount them anywhere you want—Kitchen sills, bathroom cabinet, basement or even terrace. They can be connected to latest solar panel units. Gas- powered and electric tankless water heaters can be easily concealed in cabinets and closets. Do they work in every home? Before getting a tank less water heater installed at home, get a few things verified as they may not serve the purpose in some cases. For a family with average water requirement of more than 1000 litres per day may not get the optimised output from the tankless water heaters. You may install more than one tank less water heater with centralised output system for uninterrupted heating solutions in cold winter nights.